Beautiful baby girls white crochet headband with a dusky pink bow, perfect for a christening, wedding or special occasion. 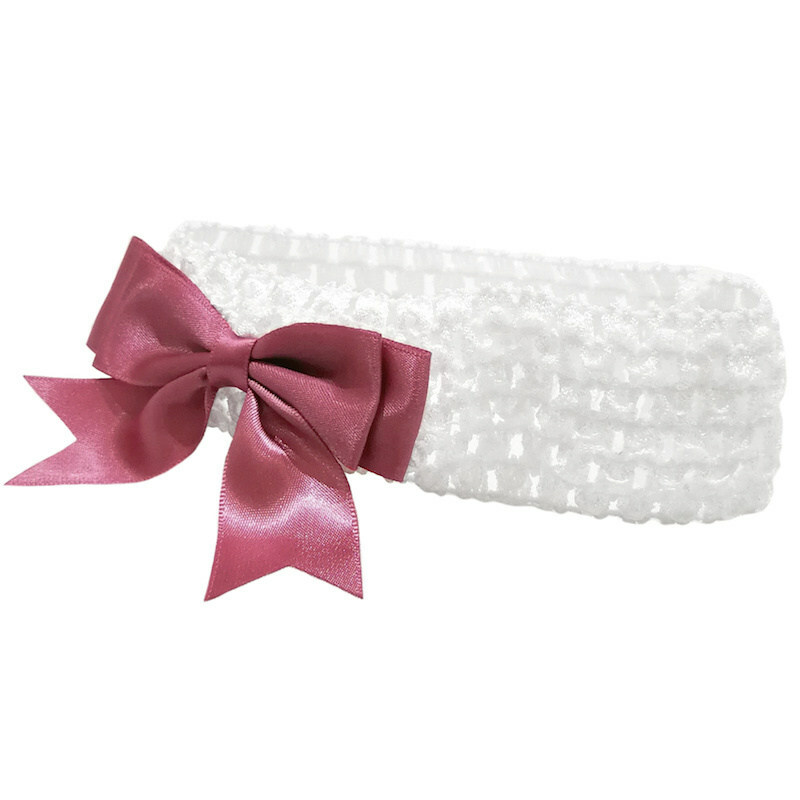 This stretchy crochet headband has a dusky pink silky satin bow to the side. Headband measures 4cm in height, bow 8cm in width, head circumference 30cm up to 42cm stretched. This headband will beautifully compliment your baby girls special occasion dress.